For Beginner who has zero background of Guzheng. No problem. Everything has to start from the very beginning. The patient Guzheng tutor is paying much attention to students' elementary techniques, basic hand actions which would make a big difference in advanced study. Thus it is important to form the good habit from the beginning. Honestly, this kind of tutoring does focusing at the student. It really takes effort for tutoring the basic level student. Chinese call it as “基本功”. At the end of each Guzheng tuition, the tutor would give some simple homework. As long as student could practice an hour after class, the student can find herself a big difference after 3 month's study and practice. Students who follow the instructions have not problem learning, even those has not any background, between 9 to 10 months of the study of Level 1 to 3, including all the songs required in the standard textbook. In our past record, some students can perform in public after half year's serious learning while she started from Beginner. For the Diploma level, it is from level 4 to 8. Examinations are available for those who are taking the NAFA Guzheng Examination. The Guzheng tutor is familiar with almost everything concerning music examination or NAFA Examination. Besides, many songs in examination list are already covered in Guzheng tuition classes. a) The Guzheng tutor are focusing on the student playing movements. Tutor also handle the progress carefully to ensure that it is enjoyable lesson in respect of the student. b) The Guzheng lessons schedule could be more flexible for each student. c) The time for each Guzheng lesson is also flexible. Normally, the student learns faster with more confidence. d) Fee may be higher for 1 to 1 Guzheng tuition with respect to tutor' qualifications and travelling time. Some of you who prefer modern music and like to learn leisurely for self interest. The fees for such Guzheng lessons may has extra charge for writing the music scores. Having a Guzheng instrument is highly recommended so that you can practice after the each Guzheng lessons. Practice helps you to improve and absorb what the Guzheng tutor has taught you. a) Fee at tutor' place is $180~200 per 4 lessons of 45 minutes per lesson. b) Fee at student' place is $240 per 4 lessons of 45 minutes per lesson. It is the travelling time and transport to student' place. How to choose a suitable Guzheng? There are four major places that are making Guzheng in China. Shanghai, Yangzhou, Xi'an and Henan. Each place has its unique method of making and the tones of the Guzheng are distinctive from each other. Medium is better than normal while advanced level is more capable of performing in a concert, compared with normal. The collection level uses special material, for example, crystal. Some Music Store offering a wide range of Brand New Dun-Huang Guzheng. You can purchase the Guzheng from Singapore Music Store and is guaranteed. You can also mail-order directly from Shanghai Min Zu Yue Qi Yi Chang. (上海民族乐器一厂 ). Guzheng Lessons Fee guide. We reserved the rights to change at any time. Fee per 45 minutes lesson. To engage a private home Guzheng tutor, please submit the "Request-Tutor-Form" or Call us : Mobile: 9385-5548 for Assistance. We also accept voicemail, texts, What'sApp, if you want us to call you. 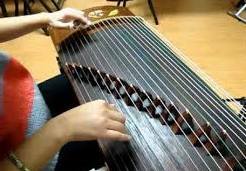 We will find a suitable private home Guzheng tutor for you, as per your Request-Form. Feel free to browse the links on this site for more information. 111, North Bridge Road, #21-01 Peninsula Plaza. Singapore 179098. Tel: 6962 1165; 9385 5548.